In short...bawled like a baby. 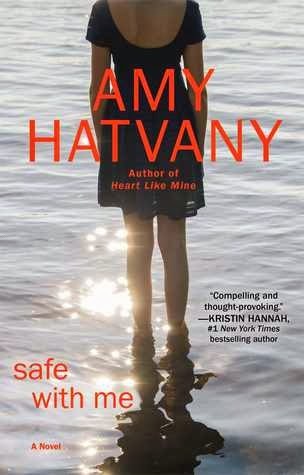 I adore Amy Hatvany's books and this one ranks up with the best. I will say that this isn't always a fun book to read--children dying and abusive relationships. I mean, you should go into this book prepared. The thing about Amy Hatvany is that she writes these things so well that you can't help but feel the pain (and hope!) in these characters. For me, the first section of the book was the hardest with the death of Hannah's daughter, Emily. While it wasn't the only place in this book I cried, it was the place I cried the hardest. As the mother of a daughter, I was most profoundly touched by Hannah's experience and Hatvany does her justice. Olivia's story is also heart-breaking and the reader can understand why a woman would stay with an abusive husband. I also really appreciated Maddie's narration in this book (the chapters alternate narration between Hannah, Olivia, and Maddie). Reading her point of view on her parents' marriage is a view that you don't always see when it comes to domestic abuse. And I loved that she was a real teenager--while she loved her mother, she could still mouth off at her from time to time. I think it would have been all too easy to make Maddie a perfect angel, and I'm glad that Hatvany was able to avoid that. For me, Hatvany can do no wrong with her books. This book, however, was a bit more "right" than usual and I would highly recommend it.